Since Temple Run hit it big, the mobile markets have been flooded with endless runners—games in which the player jumps, rolls, slides, turns and otherwise guides an auto-running hero through treacherous terrain. When's gaming's original running hero going to get his due? According to LinkedIn job listings uncovered over at The Sonic Stadium (via Pocket Gamer), Sonic's endless-running debut may come sooner than we think. Update: Sega has confirmed that Sonic Dash is indeed a new mobile Sonic game in development. The listings come from SEGA's UK-based Hardlight studio, focused on creating games for mobile and portable platforms. You might know them from Sonic Jump, the level-based jumping game that seemed ill-suited to our hero's particular talents. The Studio comprises small, agile teams working on new IP & well-known SEGA IP. Project durations are 5-10 months, building on the success of their first projects on iOS—Sonic Jump & Sonic Dash—Hardlight is now working on some new & exciting projects. Sega has made it clear that it has big plans for Sonic the Hedgehog on mobile platforms in 2013. Sonic Dash just might be the first taste mobile gamers will get of the blue blur this year. Of course it could have been some sort of mistake, though it seems unlikely someone editing a job listing would just toss in the name of a non-existent game willy-nilly. I've reached out to Sega for comment on the listing and future plans for mobile Sonic games. 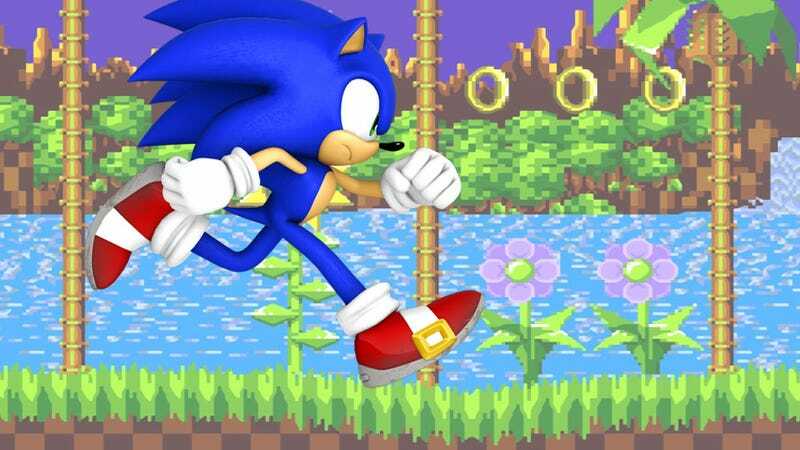 Until confirmation comes, we can all just sit back and imagine a game where all Sonic does is run, run, run. "At this time, Sega is able to confirm that we are working on a new mobile game titled Sonic Dash. We have not announced any specific details on the product but we will be releasing additional information on this exciting, new game in the near future."